BOLTON, MA, JUNE 11 – Headwall has introduced advanced sensor payloads consisting of hyperspectral sensors and LIDAR for deployment on Unmanned Aerial Vehicle (UAV) platforms. Through the fusion of spectral imaging data and 3D LIDAR output, Headwall continues to provide new industry-leading capabilities for addressing critical remote sensing applications ranging from civil and military infrastructure inspection to crop science applications requiring discrete solutions for crop monitoring. 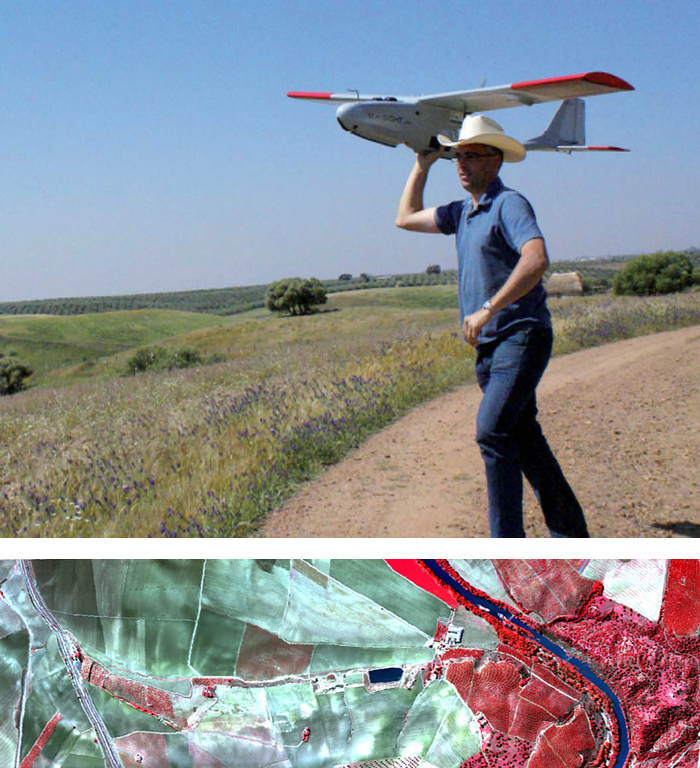 The Headwall payload consists of a Hyperspec® spectral imager, a LIDAR unit, a UAV, a high-performance GPS/IMU, and the associated software for data acquisition and workflow processing for exploitation. 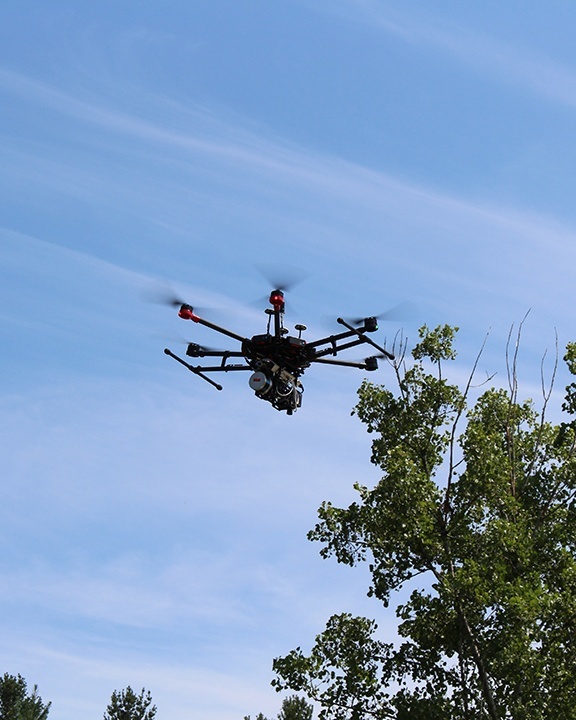 The combination of hyperspectral and LiDAR is especially powerful because the entire data set can be acquired on inexpensive UAV platforms with both sensor instruments operating simultaneously. Headwall’s software will allow for the control of both instruments, utilize the Digital Elevation Map for image creation, and allow for the merging of spectral datasets with the 3D point cloud. As instruments get smaller and lighter and UAVs get more robust and powerful, Headwall’s integrated airborne packages are designed for low-altitude, high precision flight for applications where high spectral and spatial resolution is required. Headwall’s focus is on integrating these sensor modalities and providing the necessary image workflow analysis for data exploitation. 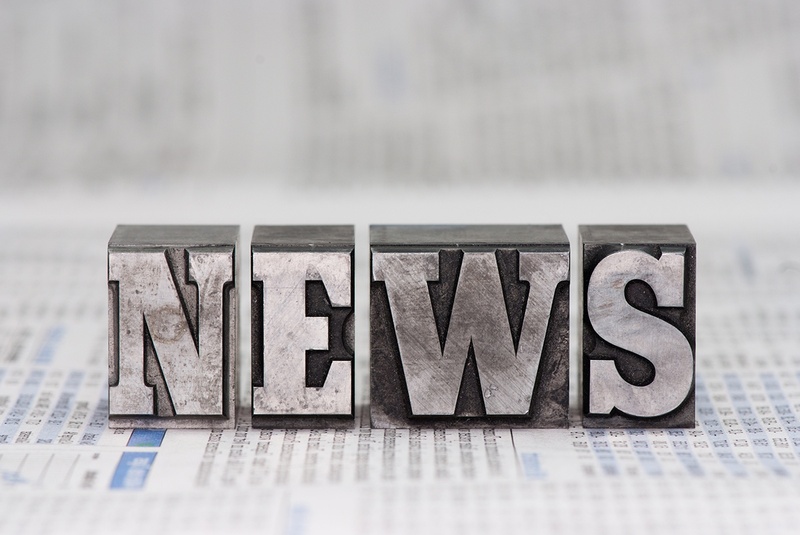 “We continue to lead the industry with these integrated solutions that are based on solving costly problems for our customers,” said Headwall CEO David Bannon. “Hyperspectral sensing is in high demand right now, and Headwall continues to lead the industry with enabling data acquisition platforms as well as data exploitation and interpretation software,” said Bannon. “We continue to lead the industry with these integrated solutions that are based on solving costly problems for our customers,” said Headwall CEO David Bannon. “Hyperspectral sensing is in high demand right now, and Headwall continues to lead the industry with enabling data acquisition platforms as well as data exploitation and interpretation software,” said Bannon. Headwall’s successful implementation of hyperspectral and LiDAR also involves a high-performance GPS/IMU, which collects both geographical data (the GPS) and roll/pitch/yaw information from the UAV (the IMU). 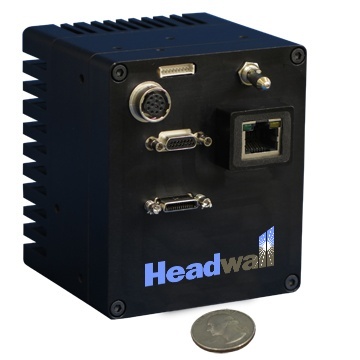 This data as well as LiDAR and hyperspectral information is stored aboard Headwall’s small Nano-Hyperspec®, which includes a 500GB solid-state drive within its enclosure. Combined, the entire data set will represent a geo-rectified point cloud consisting of fused spectral and LIDAR output, which will be an industry first. Headwall Photonics is a leading designer and manufacturer of spectral imaging instrumentation for remote sensing, advanced machine vision, medical/biotech, and government/defense markets. Headwall’s high-performance Hyperspec® instruments have been selected by end-user corporations, OEMs, and universities around the world who demand high spectral and spatial resolution performance. Headwall enjoys a market leadership position through the design and manufacture of spectral instrumentation that is customized for application-specific performance. The Company is based in Massachusetts where it has two locations (Bolton and Fitchburg). European operations (Headwall BVBA) are located near Brussels, Belgium. Fitchburg, MA, February 11, 2016 — Headwall Photonics, Inc., the leading provider of spectral imaging solutions, has introduced a new, powerful data processing unit specifically designed for UAV airborne applications requiring sensor fusion. The small size and weight of HyperCore combined with its powerful data processing and high capacity storage connections offers the industry’s only processing platform for fusing hyperspectral sensing data with many other sensor payloads on the aircraft. Utilizing Hyperspec III, Headwall’s powerful spectral imaging application software, HyperCore™ serves as the central connection point for remote-sensing instruments such as multiple hyperspectral sensors, LiDAR, thermal cameras, RGB instruments, GPS/IMU units, and many more. Designed for harsh airborne environments and only the size and weight of a Rubik’s Cube, HyperCore stores 500GB of incoming airborne data and features two Gigabit Ethernet connections, one base CameraLink connection, and a multi-purpose I/O port to handle GPS/INS, sensor commands, etc. Depending on the instruments being connected, Headwall supplies HyperCore with the necessary Hyperspec III software modules to provide a comprehensive operational platform. HyperCore is the industry’s first true data processing hub specifically designed for use aboard today’s small and light UAVs. “Headwall leads the industry in developing hardware and software solutions for remote sensing applications,” said CEO David Bannon. “The convergence of small UAVs and the need for different but complementary instruments such as LiDAR, GPS, thermal, and others led us to develop a single point of fusion for the data streams from each instrument.” HyperCore puts a focus on managing and synthesizing the data streams that are so crucial for developing imagery in remote sensing applications. “A precision agriculturalist wants to know if there is an invasive disease posing a threat to his crops,” continued Bannon. “HyperCore gives the user community a processing solution for managing those data streams in a small and light UAV-friendly package.” The product weighs only 1.4 pounds (0.64 kg), measures 3.5” x 3.0” x 3.0”, and draws only 12W. It is designed to work with Headwall’s Hyperspec® family of sensors, plus a wide range of instruments by notable third-party vendors. Pricing of HyperCore depends on the software configurations chosen; delivery is 4-6 weeks ARO. Fitchburg, Massachusetts October 29, 2014 - Leica Geosystems and Headwall Photonics announced the establishment of a partnership agreement whereby Leica Geosystems will resell and integrate Headwall’s line of hyperspectral imaging sensors into their airborne product portfolio. 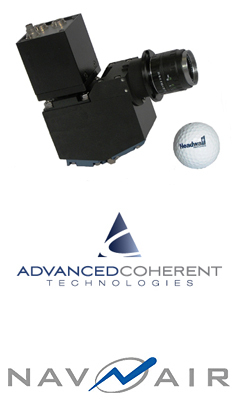 This will include Headwall's new Nano-Hyperspec sensor for small, lightweight UAS deployment. Leica Geosystems, a leader in geospatial data acquisition and mapping products, has selected Headwall’s hyperspectral imaging sensors to meet the growing demand for advanced hyperspectral sensors that acquire imagery data which includes both spatial and spectral (chemical) information within the mapping area of interest. Hyperspectral imagery allows users to obtain critical information relative to the material composition of objects in the field of view of the sensor. Headwall’s Hyperspec® sensors generate a very high resolution hyperspectral datacube that allows users to map features based on the chemical composition of objects in the scene - for example, forests can be mapped by plant species, quarries can be mapped by mineral composition, farmland can be mapped by plant vitality. The relationship between Leica Geosystems and Headwall is based on a common vision of incorporating end-user requirements for hyperspectral data into Leica’s current portfolio of mapping solutions and data products. Headwall has established a technology leadership position with the Hyperspec family of imaging sensors that are customized for particular spectral ranges including VNIR, NIR, and SWIR. Each spectral range is optimized for a unique set of end-user applications within the remote sensing market. With close to 200 years of experience pioneering solutions to measure the world, Leica Geosystems provides products and services that are trusted by professionals worldwide to help them capture, analyse, and present spatial information. Leica Geosystems is best known for its broad array of products that capture accurately, model quickly, analyse easily, and visualise and present spatial information. Those who use Leica Geosystems products every day trust them for their dependability, the value they deliver, and the superior customer support. Based in Heerbrugg, Switzerland, Leica Geosystems is a global company with tens of thousands of customers supported by more than 3,800 employees in 33 countries and hundreds of partners located in more than 120 countries around the world. Leica Geosystems is part of Hexagon, Sweden. Headwall Photonics is the leading designer and manufacturer of imaging sensors and spectral instrumentation for industrial, commercial, and government markets. Headwall’s high performance sensors and imaging spectrometers have been selected by OEM and end-user customers around the world for use in critical application environments. As a pioneer in the development of hyperspectral sensors, Headwall enjoys a market leadership position through the design and manufacture of patented spectral instrumentation that is customized for application-specific performance. With US headquarters in Massachusetts, Headwall also operates a production and integration facility in Diegem, Belgium. Fitchburg, Massachusetts USA, January 24, 2013 - Using the Headwall Photonics Micro-Hyperspec VNIR sensor, Headwall's integration partner Alava Ingenieros (Madrid, Spain) will provide the worldwide scientific community with a completely integrated airborne remote sensing solution that is currently being deployed. Ecole Polytechnique Federale de Lausanne (EPFL, Lausanne Switzerland) is sponsoring an exploration program featuring a sensor-packed ultralight aircraft that will analyze the phenomena occurring at the interface between air and water. Flights are underway now over Lake Geneva in Switzerland, and will be repeated over Lake Baikal in Russia later this year. The airborne technology will allow scientists to gather a wealth of data around bacteria, sediments, and dissolved gasses. While satellites can analyze these variables now, low-flying ultralight aircraft can collect this data more precisely and put it into the hands of researchers sooner. Because Micro Hyperspec is exceptionally small and light, EPFL plans to eventually migrate to even smaller and lighter UAVs. Micro-Hyperspec® is the industry's only remote sensing instrument specifically designed for high resolution spectral and spatial imaging aboard small, tactical airborne vehicles. It provides excellent spatial and spectral resolution and a wide field of view, meaning a more efficient flight path over areas of interest. Alava is packaging Micro-Hyperspec with the software needed to handle radiometric calibration, flight data acquisition, ground data acquisition, atmospheric correction, and post-processing of the hyperspectral data. The Airborne Remote Sensing Spectral Solution (ARS3) is available from Headwall and Alava now. David Bannon, CEO of Headwall, commented on the value of hyperspectral sensing from airborne platforms: "ARS3 is a very high performance - yet affordable - sensor solution for small unmanned aerial vehicles (UAVs) and manned aircraft. Alava has integrated a complete airborne solution around the market leading Micro-Hyperspec sensor which meets the demanding requirements of hyperspectral imaging in harsh environments." Thanks to Headwall's innovative and pioneering sensor designs, remote sensing from the air using hyperspectral imaging is a fast-growing field of research. Because hyperspectral technology is more precise and more affordable than ever, it can be used for forestry management, precision agriculture, pollution control, resource exploration, and more. Headwall, based in Fitchburg, Massachusetts (USA), is a leading designer and manufacturer of hyperspectral instruments for industrial, commercial, remote sensing, precision agriculture, and government markets. Other application areas include medical and biotechnology, forensics, chemicals, and color measurement, and in-line process inspection. Headwall enjoys a market leadership position through the design and manufacture of spectral instrumentation that is customized for application-specific performance, for end users and OEMs. Mr. Chris Van Veen, Headwall Photonics, Inc.
Alava Ingenieros Group is an entirely privately owned group that provides high technology solutions in the fields of Testing, Measurement, Communications, Security, Defense and Preventive Maintenance. The Group offers consultancy, engineering, distribution, training and technical services, providing turn-key projects for several sectors including Aerospace, Automotive, Security, Defense, Energy, Communications and Finance, as well as Testing and Research Centres, Universities, Public Services and Industry in general. Fitchburg, Massachusetts USA, January 10, 2013 — The TerraLuma Project (University of Tasmania, Australia) is partnering with Headwall Photonics to bring hyperspectral technology to their fleet of unmanned aircraft systems (UAS). Because the richness of imagery data collected via hyperspectral sensing far exceeds that of other methods, TerraLuma is putting Headwall’s Micro-Hyperspec sensor aboard its innovative, multi-rotor SkyJib airframe from Droidworx (Waikato, New Zealand). SkyJib is a purpose-built aerial platform, the Terraluma team has adapted it to carry scientific instruments such as Micro-Hyperspec. Precision agriculture, mapping and monitoring vegetation in remote locations, represent some areas of research made possible through the use of hyperspectral sensing. 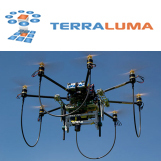 The TerraLuma research project at the University of Tasmania aims to develop novel tools and algorithms for environmental remote sensing applications and aerial surveys using unmanned aircraft systems (UAS). Up-to-date and accurate spatial data are of crucial importance for sustainable management of our ecosystems. UAS offer an exciting and novel opportunity to map the environment in greater detail than ever before. We are a university team of a senior academic, a postdoc, six PhD students, and two technical officers and we specialize in UAS sensor integration and image processing for earth observation applications. Droidworx Ltd New Zealand is a manufacturer of advanced multi-rotor airframes and related accessories. Based in New Zealand, the Company exports its products around the world. Droidworx UAV platforms service the growing market in multi-rotor systems for aerial photography, professional cinematography, remote sensing, and service sector applications. Aeronavics is the trademark brand for our innovative aerial solutions and global operations. Fitchburg, MA, July 3, 2012 - As a result of tactical hyperspectral sensor trials with small military UAVs, Headwall Photonics has received a follow-on contract for program deployment of its Micro-Hyperspec® hyperspectral sensor to NAVAIR with Advanced Coherent Technologies LLC (ACT) of San Diego, CA serving as program integrator. The very small hyperspectral sensor operates in the near-infrared (NIR) spectral range of 900nm - 1700nm and will be used to detect specific target materials from a small gimbal mounted on a TigerShark Unmanned Aircraft System (UAS). The NAVAIR program successfully brings together leading-edge spectral imaging technology from Headwall and ACT so that mission-critical decisions can be made accurately and rapidly. Jon Schoonmaker, head of Contracting and Sales for ACT, mentioned some of the key characteristics that the Headwall sensor provided. "The aberration-corrected, concentric design used by Headwall gives us very low distortion and a very high signal-to-noise ratio," said Schoonmaker. "Headwall optimized the package for size, weight and power (SWaP) because the 7-inch gimbal will also contain other electronics and sensors as part of the payload." Schoonmaker concluded by remarking on the collaboration between ACT and Headwall. "Our companies worked together to develop a solution that NAVAIR is very eager to have in their arsenal. The TigerShark is a small UAV platform and SWaP is a performance driver." "We are excited that ACT has selected Micro-Hyperspec platform for their airborne program," offered David Bannon, CEO of Headwall Photonics. "We have developed airborne hyperspectral sensor solutions, from low- and high-altitude manned aircraft and UAVs to satellites in low earth orbit," said Bannon. "In each case, our long-standing hyperspectral experience and innovative engineering and manufacturing capabilities help customers meet their specific business and technical objectives. We are looking forward to continued engagement with the ACT team and utilizing their extensive sensor expertise." Headwall's Micro-Hyperspec NIR (900-1700 nm) & VNIR (380-1000 nm) imaging sensors offer extreme performance for the most demanding UAV/UAS and UGV applications. The hyperspectral imaging instruments are small, lightweight, and robust for use in small-payload/harsh environment applications. The sensors are particularly well suited for applications where high spectral/spatial resolution and high dynamic range are key performance parameters. The Micro-Hyperspec imaging sensor is built on a totally reflective, concentric optical design. Headwall's patented, hyperspectral instruments feature aberration-correction and high-efficiency diffraction gratings, which results in very high signal-to-noise performance and radiometric accuracy. Advanced Coherent Technologies, LLC (ACT) supports government and commercial agencies working in technologies relating to remote sensing. ACTs systems are designed to find and extract low contrast and hidden target information in environments ranging from desert to oceanic as well as provide real-time surveillance capabilities of the same. ACT designs and develops low-cost, multi-channel imaging systems capable of efficiently collecting high-end imagery and producing real-time, high-quality data products suitable for military, commercial, and civil use. Fitchburg, MA; December 12, 2011 - Headwall Photonics has announced that its Micro-Hyperspec® imaging sensor is being successfully deployed aboard very small commercial UAVs to help agriculturalists and researchers monitor vegetation over wide areas. Accurate spectral scenes of farmlands and crop fields can now be quickly rendered using this technology. Nutrient stress conditions of crops and fruit, for example, can be gathered by placing these miniaturized hyperspectral imagers on long-duration commercial UAVs, which crisscross farmland to yield a mosaic of data-rich images. Headwall worked collaboratively with Pablo Zarco-Tejada, a Principal Investigator at the Instituto de Agricultura Sostenible (IAS) in Spain. "This is a critically useful deployment of our technology by a leading researcher in the remote sensing community," said David Bannon, CEO of Headwall Photonics. "Hyperspectral imaging allows agricultural experts across the globe to make crop and vegetation decisions that will enrich the lives of everyone." Bannon noted the need for precision hyperspectral imaging solutions that are small, light, and rugged. "Size, weight and power requirements are important concerns when deploying this technology aboard airborne vehicles, so we developed and engineered the aberration-corrected Micro-Hyperspec sensor with that in mind," said Bannon. With a small size and fully integrated payload weight of less than 1.5 lbs., the Micro-Hyperspec imaging sensor is an ideal sensor for very small UAV platforms. The Micro-Hyperspec is available in VNIR configurations (380-1000nm) and NIR configurations (900-1700nm). The Micro-Hyperspec is available as a complete airborne configuration consisting of a small, accurate GPS/INS unit, data processing engine with high capacity, solid state drive, and application software necessary to acquire and display hyperspectral datacubes with exceptional spectral and spatial resolution. Pablo Zarco-Tejada commented on the success of the collaborative effort between IAS and Headwall: "We've pioneered this technology aboard unmanned airborne platforms and the data we're able to collect about agriculture and croplands helps us make life-enriching decisions for everyone." A mosaic of the flight patterns yields a tremendous amount of useful data about the vegetation below. The use of long-duration UAVs means better stability aloft, and larger data volumes stored during each flight. "Headwall's Micro-Hyperspec technology and their applications support have allowed us to achieve what matters most in our field of work: outstanding spectral/spatial resolution and high dynamic range in a rugged, small-form-factor package," concluded Zarco-Tejada. Headwall Photonics is the leading designer and manufacturer of imaging spectrometers and spectral instrumentation for industrial, commercial, and government markets. Headwall's high performance spectrometers, spectral engines, and holographic diffraction gratings have been selected by OEM and end-user customers around the world for use in critical application environments. As a pioneer in the development of innovative spectrographs and imaging spectrometers based on optical technologies, Headwall enjoys a market leadership position through the design and manufacture of patented spectral instrumentation that is customized for application-specific performance. Headwall Photonics is ISO 9001:2008 certified and was formed in 2003 as the result of a management buy-out from Agilent Technologies. The Institute for Sustainable Agriculture (IAS) was established in 1992 as a unique research center within the CSIC mission in agricultural research. The Spanish National Research Council (CSIC) is the largest public institution dedicated to research in Spain and the third largest in Europe. IAS focuses on the strategic analysis of resources to improve the sustainability of agriculture. IAS also investigates and compares options for exploiting these resources sustainably and economically, and optimizing resource use while minimizing environmental degradation.